Spring is bloom time—for budding writers as well as flowers! 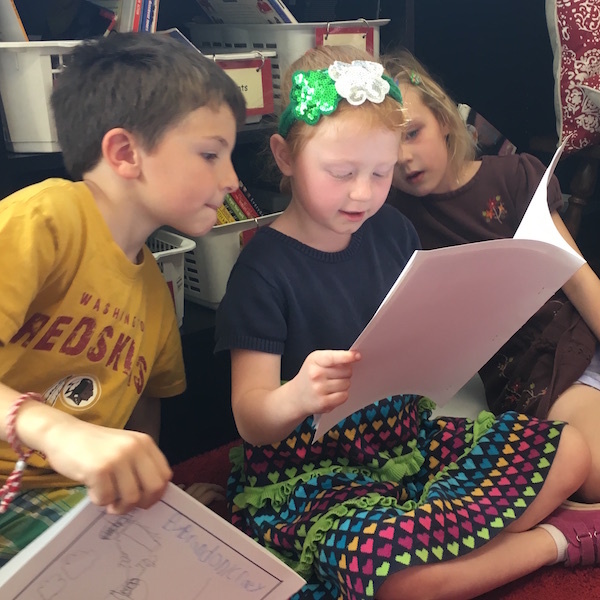 After weeks of working on their nonfiction writing unit, our two first grade classes hosted their second publishing party of the year in March. (The first, held in November, celebrated the students’ “small moment” stories.) 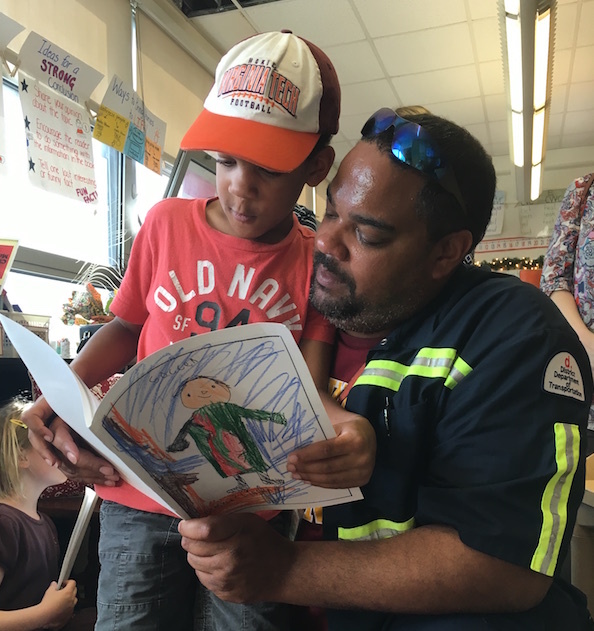 Parents and other special adults joined Ms. Celestino’s and Ms. Quattrone’s classes to hear students read from the books they’d written, edited, and illustrated. Once the guests arrived, the students sang a song about writing and editing. Then they broke into small groups around the classrooms. 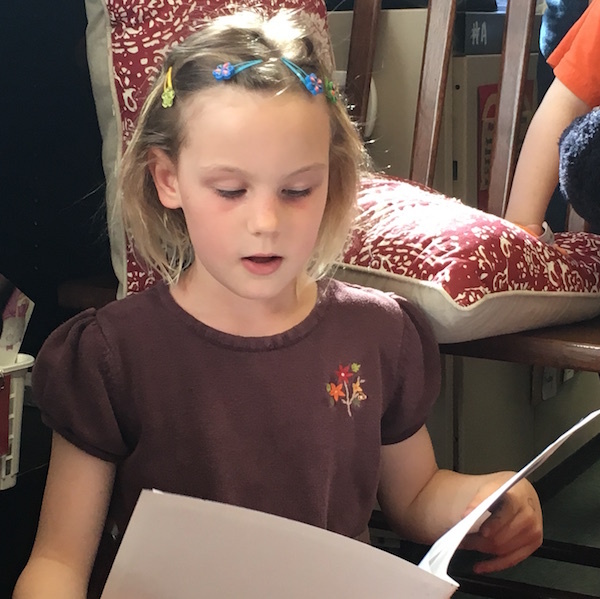 There, each student read his or her story out loud (with feeling!) to the group. Subjects ranged from “how to survive a snow day” to “how to walk a dog” to a Beatles biography. At the end of each reading, parents and friends offered feedback: what they saw, thought, and wondered about while listening to the stories. Afterward, the classes toasted another successful publishing party with apple cider and cookies. 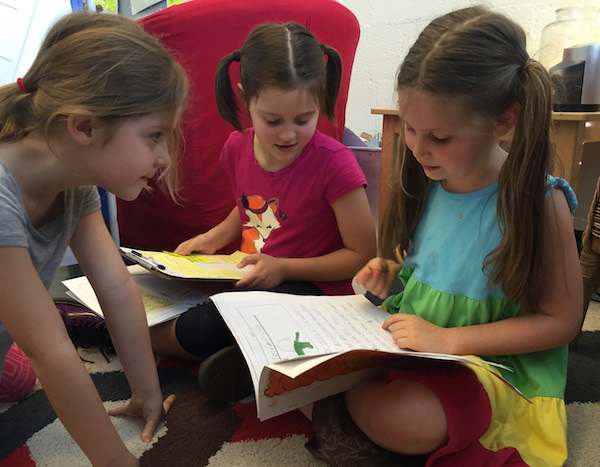 Cheers to all our first grade authors!